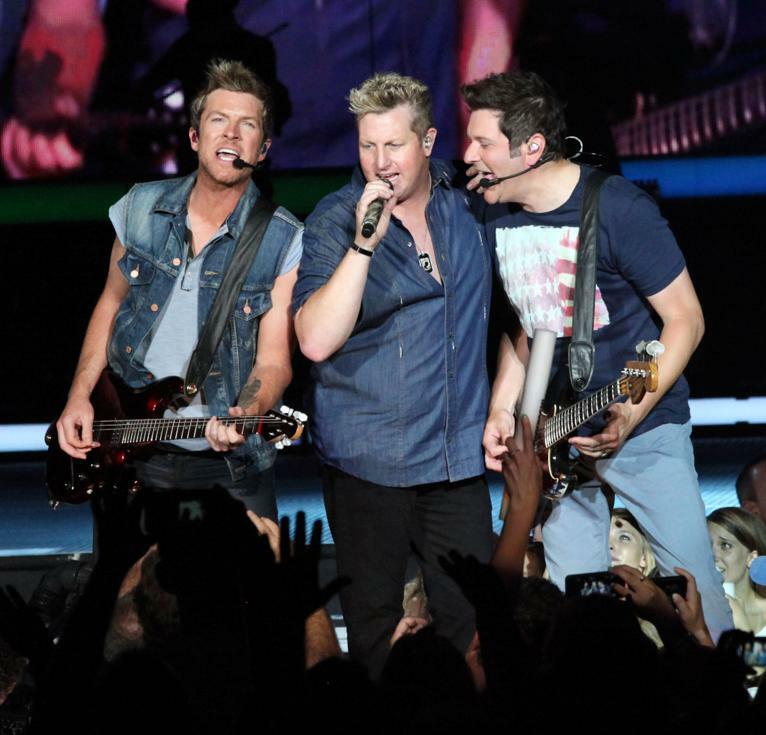 Country fans get ready as the incredible, the unmissable, chart topping hit makers – Rascal Flatts comes to Hollywood Casino Ampitheatre on Saturday 18th May 2019! Rascal Flatts are one of those bands that just keep on giving, with their flawless vocal technique they never fail to bring a performance to blow fans away and cover all basis with their best loved tracks! Book your tickets for their 2019 tour! After first forming all the way back in 1999, Rascal Flatts have stayed at the top of their game. With lead vocalist, Gary LeVox, his second cousin Jay DeMarcus on bass guitar, and Joe Don Rooney on guitar and banjo. Together they formed their group to pay tribute to all of their influences and inspirations in music and dedicate their career to their fan base where-ever they go! During 2000 – 2010, Rascal Flatts really made their way up as they recorded for Disney Music Group's Lyric Street Records and produced some of their greatest albums to date – Flatts churned out seven records, all of which have been certified platinum or higher by the Recording Industry Association of America (RIAA). These include their self titled 2000 album, Melt in 2002, Fells Like Today in 2004, Me and My Gang released in 2006, their 2007, Still Feels Good, a Greatest Hits Volume and lastly but not least their 2009 album – Unstoppable. With a move to Big Machine Records, they once again stepped up their talent and gave to the world an impressive five more albums in the next seven years. To this day, Rascal Flatts have successfully brought to the charts more than 25 singles, 14 of which made it to the number one spot in the Hot Country Songs Billboard Charts! 2019 marks 20 solid years of releases and groundbreaking performances! Come and celebrate 20 years of Rascal Flatts music by booking your tickets today for this once in a lifetime show as they touch down at Hollywood Casino Amphitheatre this spring!